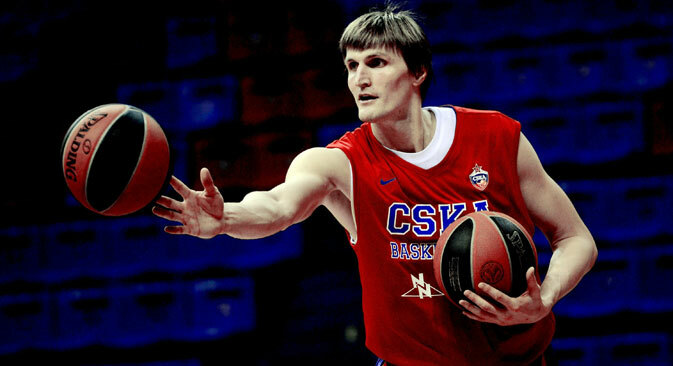 Former Utah Jazz and Brooklyn Nets forward Andrei Kirilenko is growing into his role as president of the Russian Basketball Federation (RFB). In three and a half months Kirilenko has noticeably reduced the federation's debt, renewed the staff, had FIBA's international ban lifted and established ties with the NBA. Kirilenko tells RBTH how he has accomplished all this. RBTH: Why did the former management drive Russian basketball into a dead end? Andrei Kirilenko: I wasn't part of Yuliya Anikeyeva's [the RFB's previous president – RBTH] staff and never really understood her ideas. Judging by the documents I received, I can conclude that the former management was more concerned with its wellbeing than the development of basketball. There was no consolidation. The schools and regions were not part of the federation, referees were striking, national team players were not even receiving their daily allowances. In this atmosphere it was difficult to develop basketball. RBTH: You once said that the former management's debts amounted to 270 million rubles ($3.8 million). Are you paying off this debt? How? A.K. : Yes, we are gradually normalizing the situation. We are receiving credit from international institutions, we've paid the money we owed to the regional schools and to the head coaches of the male and female national teams. We've received money from professional clubs, some from sponsors, while some debts we had to pay off out of our own pocket. In Russia this is normal. However, it will take about a year and a half to pay off the entire debt. RBTH: Soon after you became president of RBF, FIBA lifted its sanctions on Russia. What was it that you changed and how did it work? A.K. : First, I significantly reduced the staff. I left only those people who really live the game and fight for its development. We hired young professionals for key positions. Their eyes are burning and they understand that they will grow with us. Secondly, we've adjusted the RFB Charter. We replaced scandals and lawsuits with serious projects. RBTH: One of them is Brooklyn Bridge, the program dedicated to providing internships in America for Russian coaches. How did it all begin and how is it functioning now? A.K. : It was [billionaire Russian businessman and Brooklyn Nets owner] Mikhail Prokhorov's idea. We met and determined that one of the main problems with Russian basketball is the weak preparation of the children’s coaches. That is why we organized a free internship program in which the specialists train in the NBA, the best league in the world. We suggested that all local coaches apply on the federation's site. I was surprised to see that there were not many applications. Ten people went for the first internship. The guys were very content and returned to Russia with new ideas. This procedure will continue indefinitely and I hope that in the future there will be more applicants. RBTH: You've also managed to create the NBA and RBF Junior League. What's it for? A.K. : The creation of this league is very important for me. It's really great when a child can not only support their favorite NBA club but also play for it themselves. It is at the age of 12-13 that a child gains their human values, including athletic ones. For now the league's matches will take place only in Moscow and St. Petersburg. This was the NBA's request – begin with the big cities and then gradually move on to others. RBTH: What did you learn from the American system of organizing basketball? A.K. : A lot. But primarily attention to children. There are no trifles in professional sports. You must constantly think of your organism, you must train a lot. You must know how to recover, you must train your body even on the weekends. This is what many young Russian players lack. I hope that my staff will be able to change their philosophy. RBTH: When will a new Russian star shine in the NBA? A.K. : One is already shining: Timofei Mozgov. He's done really well in Cleveland. Just look at how he played in the last NBA playoffs – he was one of the best players of the whole tournament. Now he's not obtaining the same statistics because recently he had an operation on his knee. But soon he'll shine again. Meanwhile, Brooklyn has Sergei Karasev. He's 22 years old. It's his third year in the NBA and I think that if he doesn’t have any injuries, he'll be a big sensation. He's a strong forward, with an excellent throw. Then Russia has a lot of talented young players. I won't name any names, but with the right approach to the game they will also become a part of the NBA.